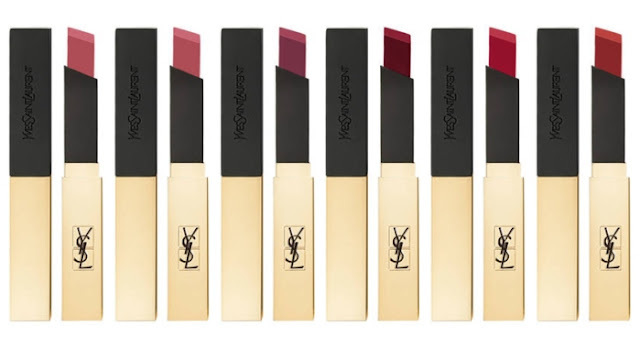 Rouge Pur Couture lipstick - The Slim Matte Lipstick! The new lipstick from YSL Beauty - The Slim Matte Lipstick, is actually the first couture lipstick that comes in a super-thin square shape that provides a longwearing matte color. This luxury new lipstick is described as having velvety texture and matte finish, which feels just like a second skin. It is easy to apply that dresses and provides a luxurious couture look along with greater comfort than ever. 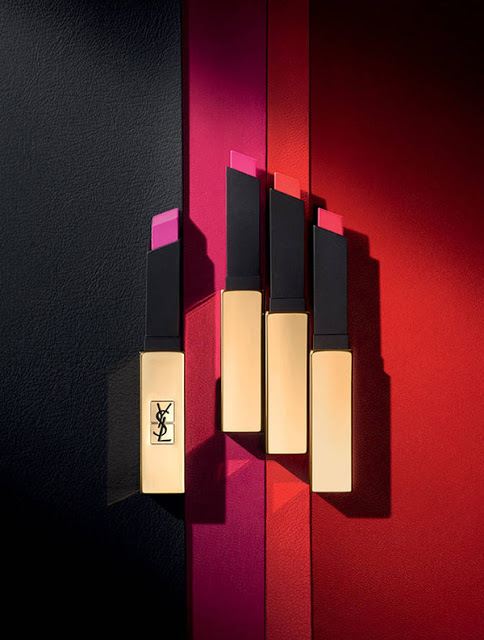 Its cover is full and opaque, very rich in pigment and comes in 12 shades, designed by the creative director of YSL’s creative director Tom the Piper (Tom Pecheux). The creamy formula of The Slim Matte Lipstick saturates the lips without drying them. It glides over the lips and settles into a thin, leather-like layer with a matte finish that lasts all day long. 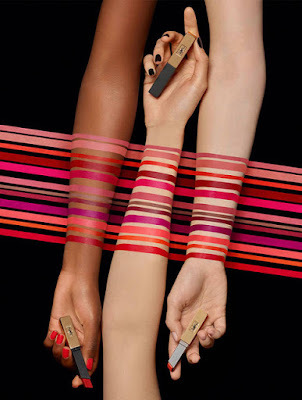 The special shape of the square bullet has a high angular point, which can be used to accurately delineate the lips, just like a pencil, while the square sides are designed to fill the lips with color. 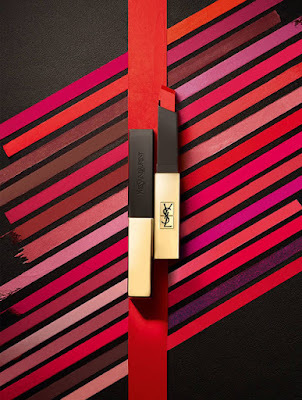 Lipstick Rouge Pur Couture The Slim Lipstick is housed in a prestigious square package in shades of gold and black, inspired by the iconic designs of the prestigious fashion house of Yves Saint Laurent. The promo campaign is fronted by Edie Campbell.